Repair of most systems to include engine, tranmission, syspension, other driveline components, brakes, tires, exhaust, coolant, and air conditioning. 12 month warranty on all parts and labor. Original equipment quality parts or equivelent. Compementry loaner cars for larger repair or service work. Flexibility for drop off and pickup of vehicles after hours. We will examine your car and provide a list of issues and concerns with an associated cost. We do not work on your car without your verbal approval of work to be performed. There is a key drop in the main door. Place the keys in with a note. Please include a name and phone number to reach you the next day. 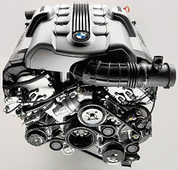 Audi, BMW, Mercedes and mini can go 10,000 to 15,000 miles between service intervals using fully synthetic motor oil, we rcommend a service interval of 7,500 to 8,000 miles. This will prevent sludge buildup especially in the vent boxes.